Primo Marella is pleased to present la Luce Prima, Gianfranco Zappettini’s first solo show at the gallery. La Luce Prima is a thrilling project expressly conceived for the gallery venue: an unreleased installation composed of overlapping meshes merges with the iconic artworks of the Seventies, where the artist's statement becomes keener and extreme. 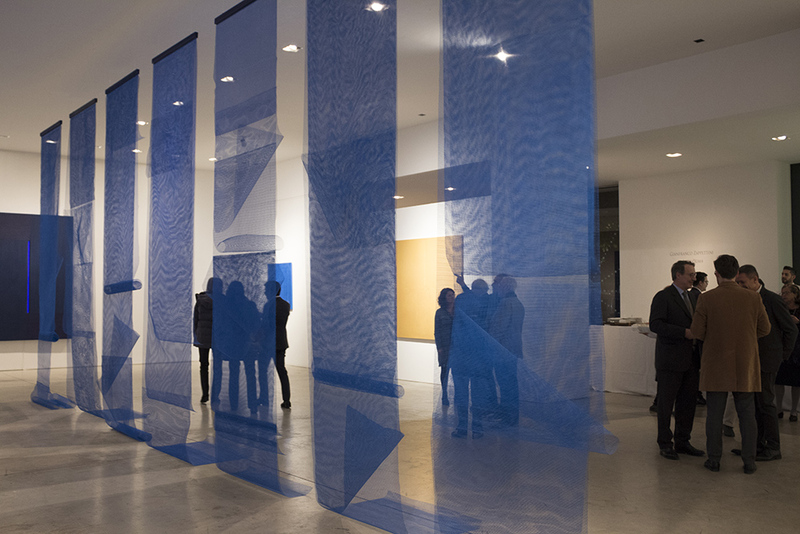 This exhibition - specifically designed for Primo Marella Gallery - shows for the first time some meshes released by the frame and suspended in a spectacular installation as imperceptible surfaces that attract the viewer indoors: a movement towards a space, where there are still objects of painting. The same goes for the historical works, which collect this suggestion and drive the visitor to the theoretical and practical research of the Seventies. White monochrome paintings, overlapping thin canvases where the only sign is an ethereal line of graphite, a reflection on the artist's gesture and thought, synthetic meshes that invite the viewer to approach, and a nearly black light that is impossible to grasp – all these different elements revolve around a cornerstone which is the signature of Gianfranco Zappettini‘s unceasing career: a painting as a tool of deeper knowledge.